Internet services in Cameroon's English-speaking regions have been turned back on three months after they were cut off following protests. Anglophone Cameroonians make up about 20% of the country's 23 million people. The other regions of the country are predominately French-speaking. 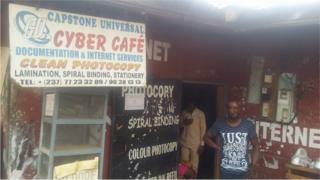 Workers in Cameroon's tech hub, known as Silicon Mountain, had to relocate to areas where the internet was still available. Announcing the lifting of the ban, the government said it reserved the right to "take measures to stop the internet once again becoming a tool to stoke hatred and division among Cameroonians".